After premiering brand new footage of the raw gameplay for Dark Souls 3 at the 2015 PlayStation Experience, developer From Software has unleashed the brutally unforgiving video to their YouTube channel. The video returns viewers to the dark and twisted universe of Dark Souls in this this entry with more than a few new enemies to take on. The video starts with the player facing a handful of scarecrow-like enemies, when all of a sudden a bombardment of huge metal spikes knocks them of their feet. The player is then faced with a boss that looks like a giant tree with a nasty surprise lurking within. At the end, we are treated to a few short segments of gameplay showing different character builds and more enemies. 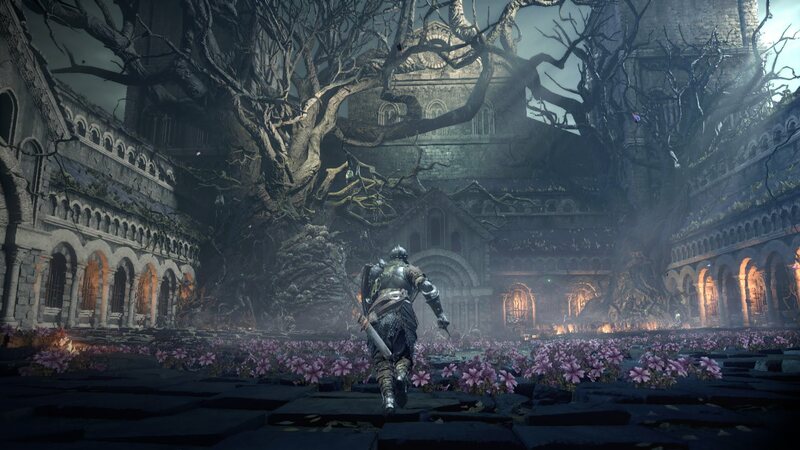 The gameplay footage comes from the Japanese channel of From Software and even includes the Japanese release date of March 24, instead of the North American and European release of April 12. Dark Souls 3 will be available spring of next year for gamers who are eager to explore the series final installment on PC, PlayStation 4, and Xbox One.